Pulverisette 0 is an electromagnetic-powered mortar that generates vertical oscillations to a single grinding ball, then to material. Grinding forces can be controlled, to enable very reproducible results. Volumes of up to 10ml are ground, wet or dry, to analytical fineness; feed size should be less than 5mm. The PO produces a very narrow particle size distribution range. A Perspex viewing window permits observation. Built-in timer. Ship wt: 60 lbs. Select from three grinding materials to control abrasion and contamination. A transparent plexiglass hood for sound absorption is optional. The Pulverisette 0 power base can be converted to a wet or dry sieve shaker accommodating 8″, 200mm or 125 mm sieves. This is the same drive as used on the Analysette III. Electromagnetic-powered mortar generates vertical oscillations to a single grinding ball. 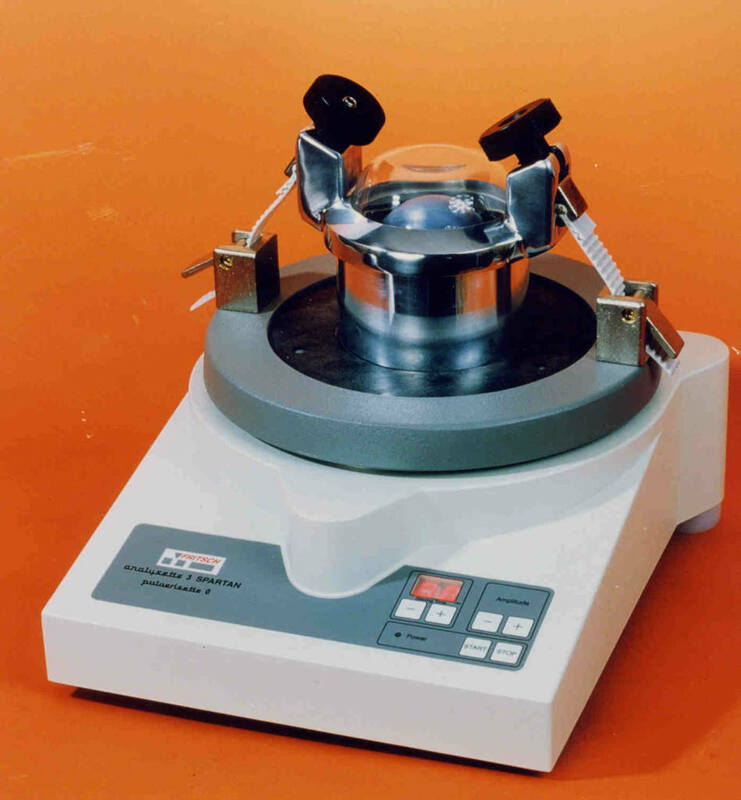 Grinding forces can be controlled, with built in timer, to enable very reproducible results. Volumes of up to 10ml are ground, wet or dry, to analytical fineness.